The implementation and operation of ACCESSNebraska has been fraught with challenges. Many of the problems noted in the LR 400 report of December 2014 still exist today. While we appreciate system improvements that have been made and the measures that have been adopted to remedy some difficulties, individuals continue to experience problems with the ACCESSNebraska system. 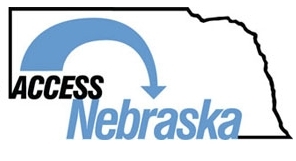 ACCESSNebraska is a program of vital importance for many Nebraskans with disabilities. Many Nebraskans with disabilities utilize the public benefits and systems that are only acquired through the ACCESSNebraska gateway. Disability Rights Nebraska supports the creation of the ACCESSNebraska Special Investigative Committee. The Legislature needs to examine the implementation and exercise oversight of the ACCESSNebraska system. Numerous issues were highlighted in the December 2013 Committee Report and the LR 400 (2014) report that must be addressed by the Legislature. Given the scope of the ACCESSNebraska problems, and as these problems still exist, it is only appropriate that the legislature continue to have an official designated investigative body to perform essential oversight responsibilities.